Dave S: How much propane do you recommend keeping on hand… Do you have any concern about the safety of storing propane due to the possibility of it exploding? If you can use a natural gas line instead, which would be unlimited supply, why not go with it? Answer: I recommend having 30 days worth of propane to run your generator. With that being said, I wouldn’t plan on running your entire house for 30 days but just your basic necessities to reduce the amount of propane you need to store. I feel propane tanks are safe and have no concern storing them. Using a gas line would be convenient; however, I wouldn’t depend on it during an emergency. The fact is, I would be more concerned about a gas line leak if there were a natural disaster and would rather use my own propane. Answer: If it has a label that has been glued onto the bottle I would soak the empty bottle in hot water for a few minutes and then try to remove the label with a razor blade or knife. Then you can shred the label like you would normal paper. In addition, you can also contact your local police department and ask them if they can dispose of empty medication bottles. I would ask them specifically how they destroy the bottles and if the labels are destroyed as well. From Victoria S: I’m new to handguns and recently read something in a novel that raised a question: when storing handgun magazines, does it impair the spring mechanism if it is loaded to capacity with rounds? It seems like it would take too long to load them when the SHTF and is better to have them ready to use. Answer: I always recommend keeping your magazines loaded because as long as you purchased quality factory magazines you shouldn’t worry about the spring failing. I’ve had guns loaded for years and know many people who do too. It’s a myth that you need to “relieve” your magazines every few months. From Lisa K: I am posing this question for my son who lives in NYC. He has had every bank account; credit card and debit card hacked during his three years there. What type of additional security should he have on his banking situation? Answer: First, I would tell him to contact the specific bank he uses and ask them what security measures can be added to his accounts. Some banks will add a second pin that is required to access the account. I would also make sure that he has a credit freeze with all three credit-reporting agencies. It’s difficult to say how exactly his cards are being compromised but I would purchase a RFID blocking card to make sure he’s not being electronically pick pocketed. 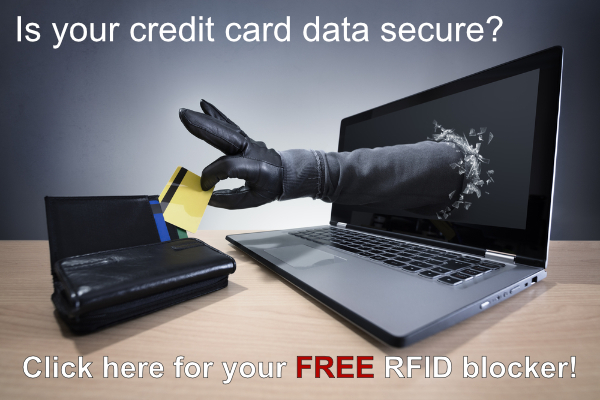 (You can get a free RFID blocker here.) Finally, using a prepaid credit card can be an inconvenience, but it does eliminate the card being connected to his main bank account. So, even if a criminal stole his credit card number there would be limited funds for them to steal. From Ole P: What is the best survival radio with the highest satisfaction rating? Answer: There are a lot of different options when it comes to survival radios and I’m sure there are tons of pros and cons for each brand. However, I personally use the Baofeng UV-5R V2, which is a small radio that can be used as a ham or two-way radio for staying in touch with others during a survival situation. These are the perfect size for a bug out bag and are pretty simple to operate. They sell for around $35 on Amazon depending on the specific model you purchase but they are a great radio that I’ve used many times during training and they’ve never let me down.